NEW YORK — The depth of world-class-level matches on the 10th annual “Grapple at the Garden” Beat the Streets (BTS) benefit lineup was increased today as the organization announced a bout between current NCAA champion Nick Suriano (Paramus, N.J. / Rutgers Univ.) and 2018 World bronze medalist Joe Colon (Clear Lake, Iowa / Univ. of Northern Iowa) at 61 kilograms. 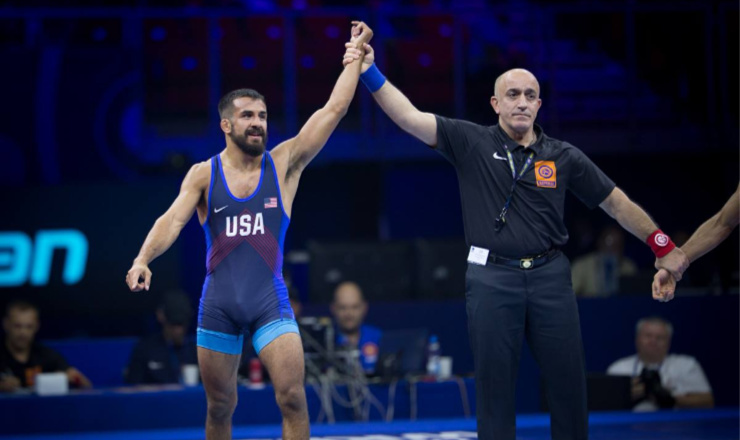 Colon, an injury replacement at the 2018 World championships at 61kilograms, defied the odds and won bronze in Budapest. As a senior at UNI in 2013-14, Colon finished 35-2 after a 27-4 campaign as a redshirt sophomore. His postcollegiate career has included a second place finish at the US World Team Trials in 2015 and a 2018 U.S. Open title. He currently trains in Fresno, Calif., where he also serves as volunteer assistant coach at Fresno State University. Tickets for the evening’s action are available now via Ticketmaster, priced starting at $30. A variety of donation packages which include “Grapple in the Garden” tickets are also available here or by emailing molalde@btsny.org, beginning at $1000. Doors open on May 6 at 5:30 p.m., with the main event starting at 6 p.m.